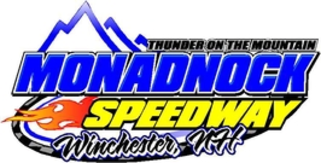 Thunder on the Mountain" is the slogan for Monadnock Speedway and that is just what it was on 6/3/17 as the Senior Tour Auto Racers made their first appearance of two for 2017 season at the Monadnock Speedway in Winchester, NH. It was cool but at least there was NO RAIN! Mother Nature took a day off! The roar and echo of the vintage cars gave the fans what racing was all about back in the 60's and 70's. STAR filled the pits with cars from all over New England and Canada with coupes, sedans from the earlier years along with Pintos Mustangs and Vegas from the 70's. STAR's day was started with warm ups and later in the evening would have heats and features for both divisions of STAR. First to hit the track was the Sportsmen division for their heat race, and racing it was! Alan Zemla from Me in his #43 Coupe took over and took down the first of many flags for the 2017 season. 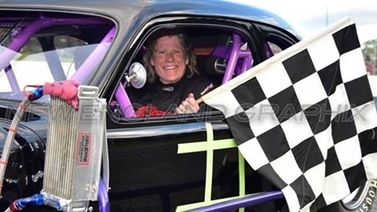 It was Bob Seward from Ma in his #69 B Coupe to pull off a second and to round out the pack with a third was Art Merchant from Ma in his #64 Coupe. Coupes Ruled That Night! The Modifieds were lined up and ready to hit the asphalt for their heat race. Scott Poirier from Ct in his #73 Pinto made his move to the front and took down the second checkered for the tour that evening. Joe Laliberte from Canada in his #61QC was right on Poirier's tail to pick up a second and James Allen from Ma in his #44 Mustang rounded out the pack with a third. At Feature time it was the Sportsmen to hit the track first for their feature race. 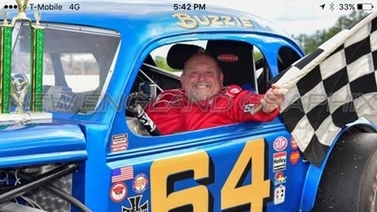 When the checkered flew it was on Art Merchant from Ma in his #64 Coupe to take the feature for the Sportsmen. Rick MacDowell from Ma in his #76 Camero took a very close second and Jim Torok from Ct in his #04 Pinto rounded out the pack with a third. The Modifieds were lined up and ready to hit the track for their feature race. Bob Donahue from NH in his new Coupe the # took down the last checkered for the evening and the feature for the Modifieds. Richard Trempe from NH in the #99 Pinto pulled off a very close second and it was Wade Gagner from Ma in his #12 Vega to complete the pack with a third. STAR would like to thank Monadnock Speedway and their entire staff for all their hospitality and including us in their 2017 season. STAR will return to Monadnock Speedway for their second appearance on August 5th!